We all know that The Legend of Zelda: Breath of the Wild and Super Mario Odyssey are fantastic games; having taken the world by storm last year with some fresh ideas for its top franchises, Nintendo has been taking countless awards home for these top titles left, right, and centre. Amazingly, this trend is still continuing over a year after the former's release. Yesterday saw the 14th British Academy Games Awards (or BAFTA Games Awards) take place in London. Celebrating the best games of 2017, the event played host to numerous awards for some extremely well-deserving titles, and Nintendo's evergreen efforts certainly played their part. Breath of the Wild was nominated in a whopping total of five categories: Artistic Achievement; Best Game; Game Design; Music; and Game Innovation, winning the last one in that list for good measure. 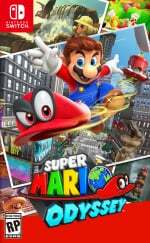 Super Mario Odyssey was nominated for three awards, losing out to opponents in the Best Game category, but taking home both the Family and Game Design awards. A worthy list of winners? Or do you angrily disagree entirely? Feel free to share your thoughts on the list in the comments below. Erm, right. Can't say I really agree with a lot of this. BOTW is one of the best games I've ever played and Odyssey is is just pure fun. Also, Senua was OK but the actual game part was really repetitive to me and finding which parts of the level had changed after going through an arch wasn't that interesting either. To each their own but I enjoyed Ninja Theory's other games much more. Anyway, Best Games is NOT Guarantee will make people want to buy & play it. I can certainly say I disagree with a lot of those suggestion and victories. I don't see Hell Blade being better in artistic quality than Zelda. Nor do I see Edith Finch getting game of the year. Phew, OK. So many things to comment. First off, woooooo! Night In The Woods won a BAFTA!! Very happy with how well Hellblade did. It deserves all the praise and recognition it can get, which is apparently a lot. Also, just a little miffed that Xenoblade 2 didn't qualify for this as it surely deserved at least a nomination for best music. And finally I just find it funny that they have a category for best British game. Just wow! It's all subjective, but rarely have I disagreed with so many winners. I'm so happy that Hellblade won a few awards. Despite loving BotW and playing it on and off after some 200 hours, Hellblade is still my 2017 GOTY. Hellblade was one of my favourites this year and an astonishing achievement considerign the budget and size of the team. A beautiful, haunting and moving game that deserves every bit of its success. Delighted to see it win so many awards. What Remains of Edith Finch was a surprising but also very worthy winner. Glad to see Mario Odyssey and Breath of the Wild get recognized too, of course. And Night in the Woods! A really great awards show, really felt like a true celebration of gaming. Hellblade definitely deserves recognition. Now what is that buffoon Schafer doing here for "Fellowship", aside from him looking like an oversized hobbit? Did he do anything actually nice last year? @BranJ0 Nier Automata was great but I thought BOTW and Odyssey were better then both those games (especially Persona 5, never liked Persona). I absolutely would not make Fidtch "Game of the Year." @SmaggTheSmug fellowship is more a career thing than a what he did last year thing. Hellblade winning so many awards is a great achievement. The game is stunning in multiple ways and deserves every success. I must say, I disagree with a lot of these, but I'm not the British game awards judges, so what do I know. @jswhitfield8 Well, his career recently included blowing 3.3 million kickstarter dollars on half a mediocre game. @Snaplocket I tend to slightly prefer games that are more story driven, and both P5 and Nier had great stories in my eyes, particularly Nier, which has the most gripping narrative of any video game I've ever played. I do understand not liking them though, they certainly appeal to a particular niche, I just happen to fit into that! @SmaggTheSmug I'm sure having monkey island on your cv was the key driving force behind the BAFTA decision. The two main winners scream of art over substance for me, but then that is just like the film baftas so no shock there! Terrible list. Some of the best 2017 games don't even show up on it. @Anti-Matter wow. You have zelda BOTW but you never played because of portal knights. @Anti-Matter Gameplay complexity in Zelda? My daughter plays that game on her own.. Yes, there are a lot of systems, but actually playing the game isn't that hard, and the game eases you into it very well. Yakuza 0 was the best game of 2017. 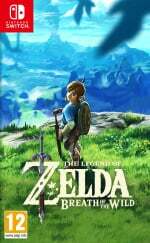 Zelda should of got it but Edith was my second favourite game of year, so fair play. Remember, this is the UK, the country that brought us Brexit - is anyone really that surprised to see Hellblade doing so well? There is always a strong domestic bias to the Baftas, usually applying to the film awards as much as the games. Furthermore, while Nintendo has picked up a few awards over the years, PSBox games have generally dominated. That said, I'm sure Hellblade is great, and I'm not in any position to quibble. Also interesting is that Odyssey got more awards than Zelda BotW, which has not generally been the case. Wonder if there's some recency bias there - Zelda's release seems an awfully long time ago now. I have never even heard of Hellblade. Edith Finch was 4-5 hours (max?) of totally decent interactive story. Probably the best Walking Sim I've played. Zelda Breath of the Wild was (for me) 140+ hours of totally engrossing gameplay, filled with moments I will never forget. All the while providing almost limitless opportunity for experimentation and discovery. For what it's worth, I think all the other nominated games (-Hellblade which I have yet to play) rather than Edit Finch are more worthy winners. This feels like when the Oscars go contrarian and don't pick the best movie because it's popular. Some of these winners make me cringe. Noticed that too. I don't mind when art is more recognized in film (3 Billboards definitely deserves more awards than Last Jedi, Thor, etc) but I always prefer gameplay substance/fun over art any day in gaming. I mean, good stories are welcome, but if a game is tedious, borning, or unispired in the actual GAME part of the game, I tend to put it lower on my list even if I still like it. Hellblade and Edith Finch definitely would make better movies/series than games IMO. @NESlover85 You must have insulated yourself pretty well, as Hellblade made quite an impression in many ways. It was developed and self-published by Ninja Theory as sort of a passion project within the studio making it sort of a bridge between a triple-A game and an indie game. It has a trippy story about a Celtic warrior woman travelling to Hell to get her lover back. And the devs consulted psychologist and psychiatrists on mental illnesses and inserted that into the game, making the experience quite odd. For example instead of usual visual prompts in combat there are constant whispers that say things like "behind you!" when someone is attacking you from behind – but they aren't always reliable. @Muddy_4_Ever A bit like if the Oscars awarded Best Film to "Papers Please" (the short movie). What a misguided attempt at appeasing to the ‘walking simulator’ non-gaming masses. Just shows how irrelevant the BAFTAS are. It renders their awards to Odyssey and BOTW void. Games like Hellblade and Edith Finch are practically the video game equivalent of Oscar bait, so it's not too surprising that some pretentious awards show would pick them. (I do think Hellblade is good, but still). I had ever easily got killed by Bokoblins so many times during the Beginning story. I was a little bit trauma so i decided to play another games. I still saw a Big potential from Zelda BOTW, but i'm not in the mood to play right now. Maybe need a long time before i'm ready to play again. Beside, i felt Portal Knights much easier than Zelda BOTW in term of Gameplay. @BranJ0 I like story driven games too, Nier Automata, Xenoblade 2, and YS VIII are three of my favorite games of 2017. I just like BOTW and maybe Odyssey more . That said I stand vby that I've never cared for the Persona seires. Never played 5 but I played a lot of 4 and honestly nothing about 5 suggests to me it would be so much better. @Snaplocket That's fair enough! Ahh, I won't be much help here since I never played Persona 4, this was my first game in the series. What about it did you not like? @Snaplocket Persona 5 is a lot more polished and player friendly than Persona 4. The UI, music, and gameplay are so organically integrated with each other that this masterpiece deserved a lot more rewards than it got. The BAFTA game awards are the biggest joke. @SmaggTheSmug It completely slipped under my radar for one reason or another. Sounds really cool and something I would be interested in playing. Thanks for the heads up! @Anti-Matter Please get over your "18+ Rated games are the devil" nonsense. Just because you hate them, doesn't mean everyone has to. Those games are system sellers, like it or not. Also, Portal Knights is a 7, BotW is a 1w, PK is going to be simpler gameplay wise. I found myself tend to play Portal Knights than Zelda BOTW. My gameplay hours for Portal Knights is more than 140 hours while for Zelda BOTW is still "Played for a little while" / less than 1 hour. Very nice for Ninja Theory. Hell blade Is an amazing game - it really is an "artistic achievement"
@BranJ0 Hard to say really. It felt like it focused WAY too much on social stuff. Some slice of life stuff is nice but when it's too heavy it just gets tedious. Wasn't a fan of the trial and error fusing. Dungeons felt dull and samey. HATED the "MC dies means game over" (which of course got brought back in the sequel). Honestly I just found the game boring, there's no big thing it was just a combination of things that led me to quitting. To be honest, some games just aren't for everyone. That Mario picture sure is great. 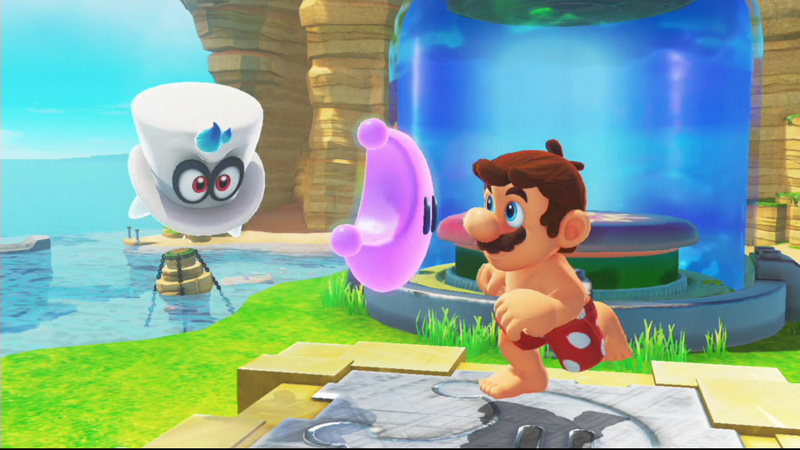 Shirtless Mario and Cappy look like they're gonna Olympic Sprint to it. They trying to fuse with it or something. I haven't classed the BAFTAs as real awards since 2013, so they could say that Sonic Forces was game of the year for all I care. -Multiplayer: Divinity (!). Just compare it with Fortnite and PUBG. -Hellblade: 5 awards. Of course it would take many many awards because it is a British game. They invented the "game beyond entertainment" to give it more awards. Don't get me wrong. I love the game. But it is a very good 8h game and nothing more than this. The "artistic achievement" should have been Zelda. -Ridiculous host. Well flower-boy, Link IS a guy! Destiny won the BAFTA for Best game in 2014...so yeah...who cares about the BAFTAs? Any denied accolade for Breath is a victory for good taste everywhere. I am glad that overwatch (almost 2 years old) and got more baftas than fortnite which is currently the biggest game.